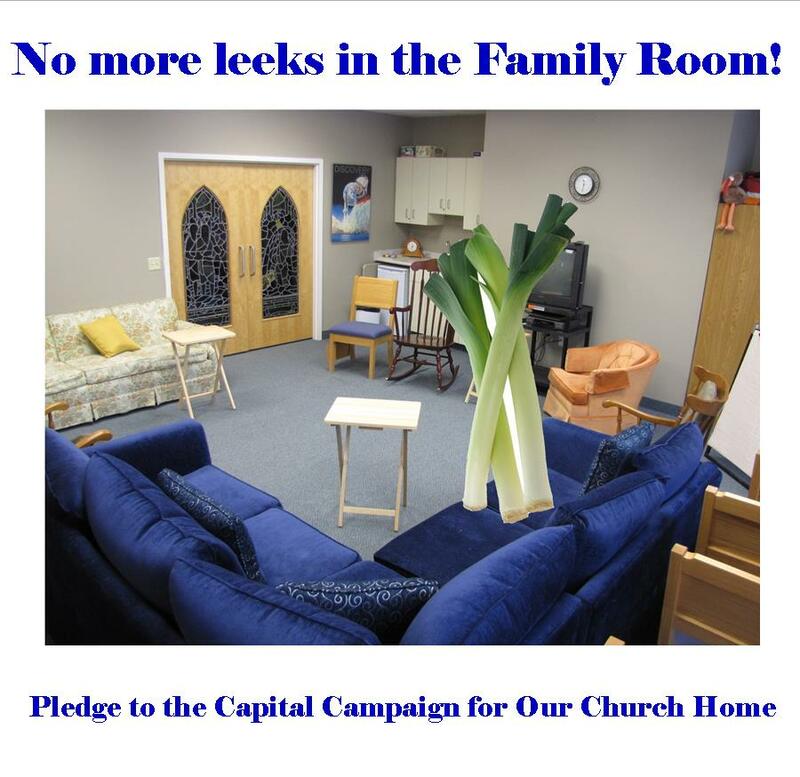 Capital Campaign for Our Church Home – No more leaks! 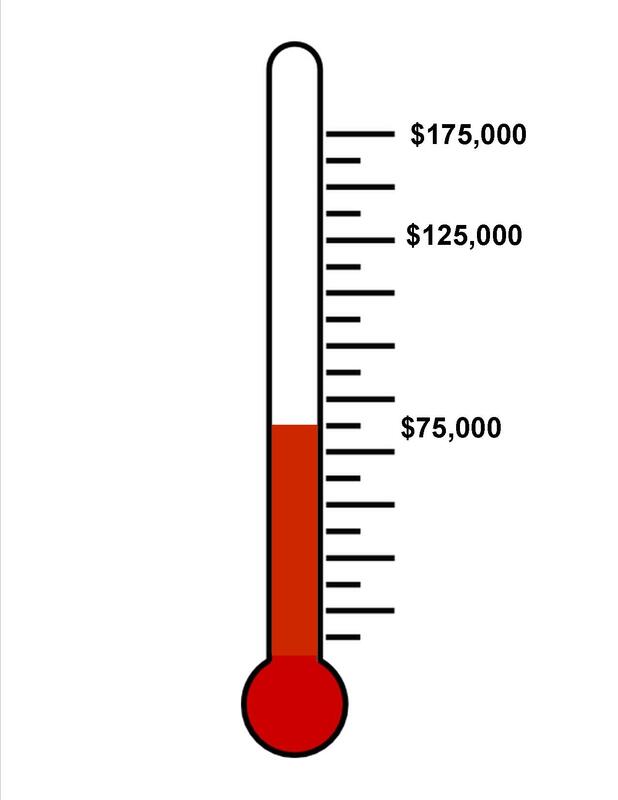 It’s Week 4 of the Capital Campaign for Our Church Home and pledges continue to come in. We have now hit the milestone of $75,000. We’re very pleased with the response and our goal is in sight. We continue to seek volunteers to pick up pledge envelopes during the week after June 11 from those who have not brought them into church by then. You don’t have to make a sales pitch. You don’t have to review the donor’s pledge. You just have to know the basics of the campaign. See me (Deb) to volunteer. We’re going to hold a short training session next Sunday, June 4, after each service for everyone who volunteers. As we’ve been saying throughout the campaign, the repairs aren’t being done for the sake of the building, but to shelter and keep safe the ministries of the church. Our stewardship of our building is directly related to our love and service to God. This week we’ll talk about the repairs over the central part of the building: the Family Room, the Gathering Space, the offices, and the Sacristy. The good news here is that much of this work, although not all of it, is funded now, thanks to early contributions to the campaign. 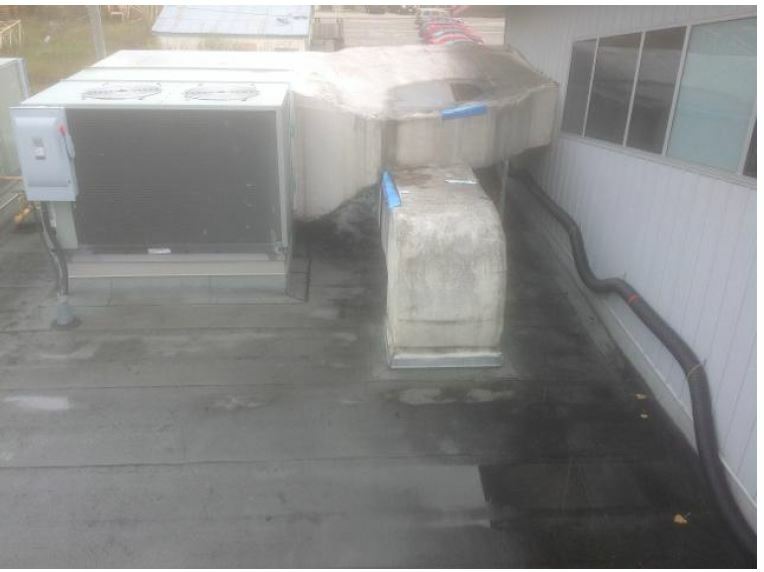 The condenser fans and motors have been replaced. This means we can now have air conditioning in the Gathering Space. 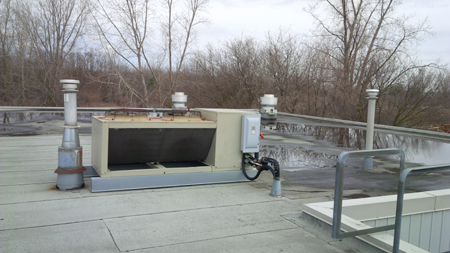 The parts are on order for replacement of the heat exchangers in the two rooftop units over the Family Room. We expect that work can begin around the second or third week of June, most likely after the Bishop’s Barbecue on the 12th. 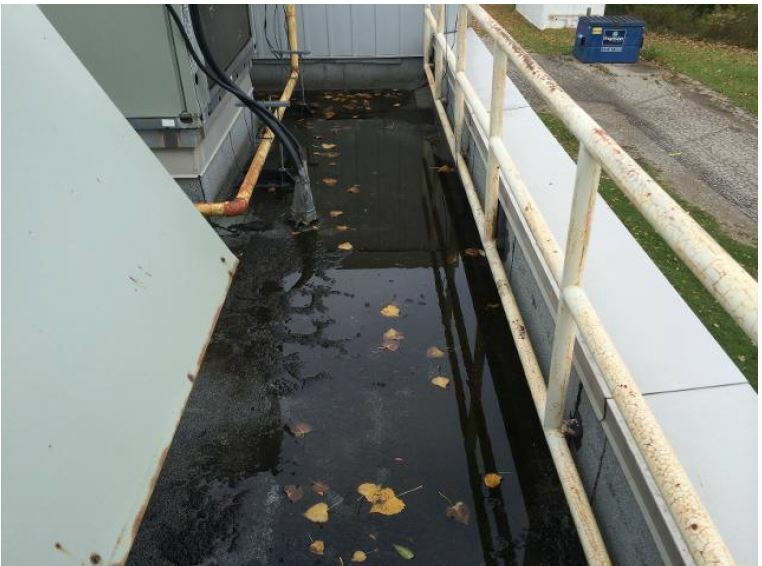 It will take approximately two days to replace the heat exchangers and another four days to re-insulate the duct work. We expect this will resolve the ongoing leak in the Family Room. 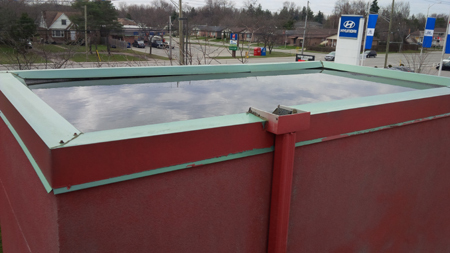 Meanwhile in the tower over the office, there is a small fish pond because the drain pipe opening is higher than the surface. That will also need to be fixed. Now Audrey Bullerwell is going to speak about one of our ministries that take place in this area of the building. When I was asked a few days ago “What does the Family Room mean to you?”, it took a while to sink in. It is a room that is very convenient and is maybe taken for granted. It is used for family gatherings at funerals, weddings and baptisms; for preparation for concerts and choirs; and for caregivers with small children who may want to use it during services. The one use dear to my heart is the Wednesday morning Bible Study. After a short Eucharist Service we meet in the Family Room for our Bible Study. First we have a short time talking about personal concerns, community events, and what is going on at our church. We may often get off topic but we are still exploring the Word, and how it affects our everyday life. We often get the help we need to overcome difficult and challenging situations. When the members were asked why they come each week and what they enjoy about the study, the answers were all much the same: It’s a joy and comfort being together, exploring the Bible and getting a wealth of information from our spiritual leaders. It is just amazing how our word can change the whole story. It’s not a structured Bible Study, and yes we do go off topic but still exploring the Word. Another reason was to better understand the readings and Gospel lessons and how it leads to the Homily and everything blending together. 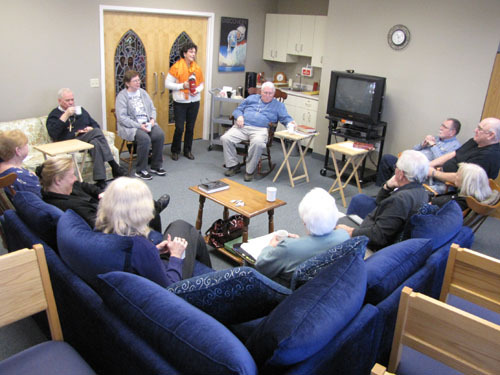 This little room has shared many quiet moments; people slipping in for a short rest on Tuesday Mornings during breakfast or during our seniors’ gatherings when things may get a little overwhelming, and yes, maybe for a little lie down. It is there for everyone – a small comfortable. cosy place. Let’s keep enjoying it and give thanks.